Almond Club Cracker Toffee recipe is salty crackers coated in a sweet toffee sauce and slathered with almonds. 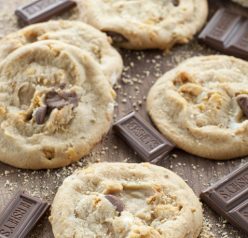 This will be your new favorite easy holiday go-to treat! I’m here to save the day if you’re a super last minute procrastinator baker when it comes to holidays like I happen to be. 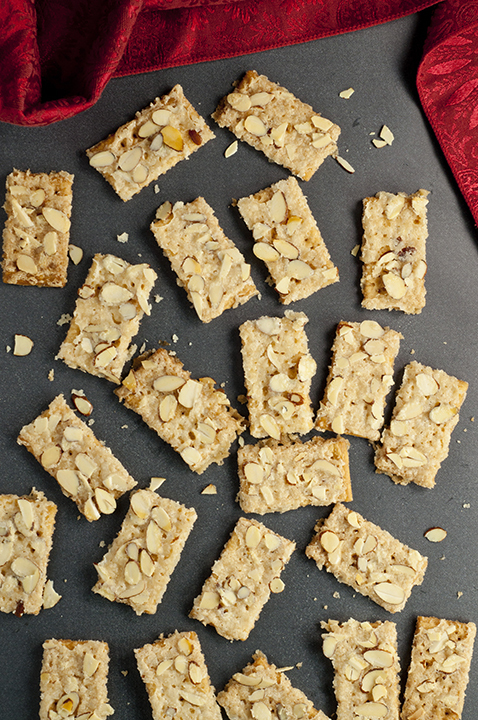 This Almond Club Cracker Toffee would make an amazing filler for your dessert trays on Christmas or just make it for an every day snack to munch on. 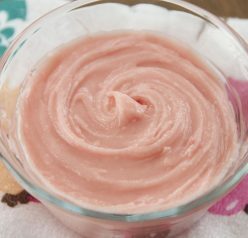 This is such an incredibly quick and easy dessert or snack to whip together. I make this every year for the holidays, but I don’t think this addictive deliciousness should be confined to just the holidays. The first time I made this was with my mother-in-law years ago for the holidays and she gave me the recipe. I knew this needed to keep happening. 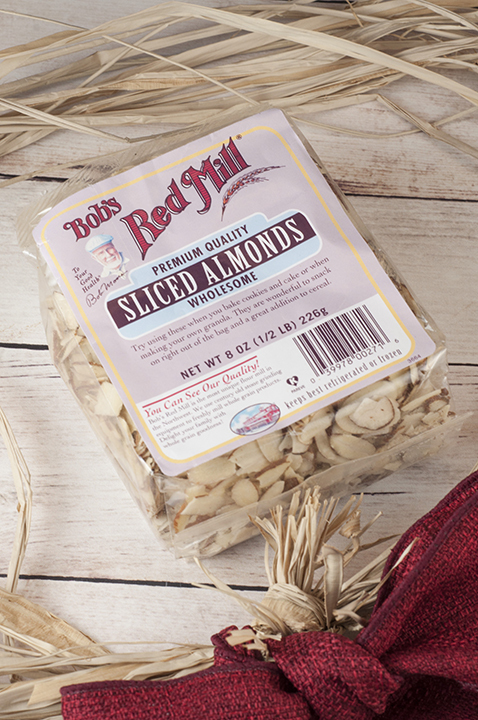 This time I used Bob’s Red Mill brand sliced almonds. They are great right out of the bag or putting on a salad, but also so perfect for baking with! I also used them in my “Grandma’s Almond Macaroon” recipe this year. I love their products and use them in all of my recipes, especially around the holidays! 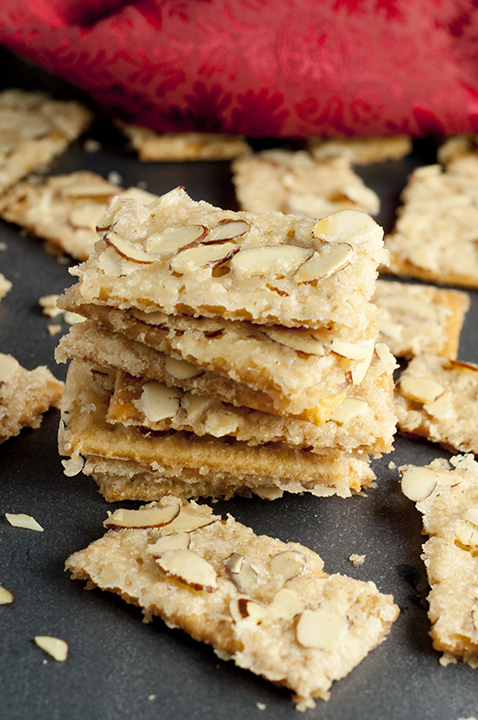 Almond Club Cracker Toffee recipe is salty crackers coated in sweet toffee sauce & slathered with almonds. This will be your new favorite easy holiday treat! Arrange crackers holes side up on cookie sheet with sides touching. Pack them tightly together, even if you have to break some in half. Melt butter and sugar together on stove on medium-high heat. When mixture gets bubbly, cook for about 2 minutes. Lower to medium heat and keep stirring. Pour mixture evenly over crackers and spread with pastry brush to cover crackers completely. Sprinkle almonds on top and press them in a bit with your fingertips. Bake at 350 for 7-8 minutes. Be careful not to let the crackers on the edges burn. Cool and break apart. Enjoy! I can gobble all that up for you! Looks fabulous…love how simple it is and I do adore anything with almonds. What a great nibble! I love finding quick and easy recipes like these for the holidays because we *always* have people dropping over to hang out. LOVE it! 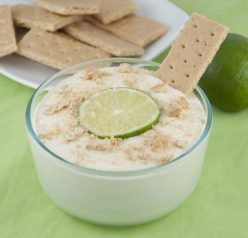 I saw the video on this… easy peasy, and delish!!! GIMME. I’d probably rename these “crack” toffee since they look incredibly addictive! Happy holidays! Wow this was my first successful attempt for a recipe! So glad for all the pix and tips on how to do that super important step. I absolutely could not believe the flavor difference and the immediate aroma saying Eat Me! ???? So very happy with this recipe! What a fun idea! I’ll bet these taste awesome! Will toasted pecans work as well? I think if you break them up and push them into the butter mixture before it dries. Otherwise I think they might “pop” off since they’re not flat.